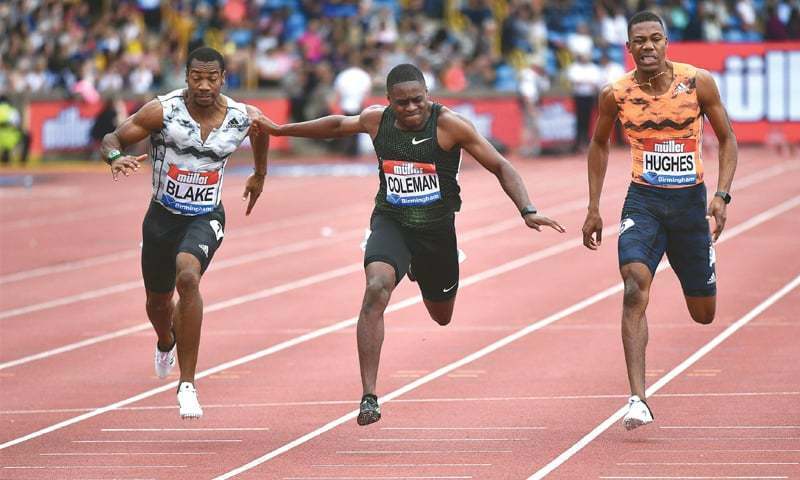 BIRMINGHAM: American Christian Coleman held off fast-finishing local favourite Reece Prescod to take the Birmingham Diamond League 100 metres title by one thousandth of a second on Saturday. Coleman, feeling his way back after an injury-restricted year, won in 9.94 seconds. Prescod was given the same time a lifetime best but missed out by the smallest possible margin as the photo finish gave Coleman .938 to Prescod’s .939. American Noah Lyles, the dominant figure this season, stumbled early on and was third in 9.98, just edging former world champion Yohan Blake (9.99). 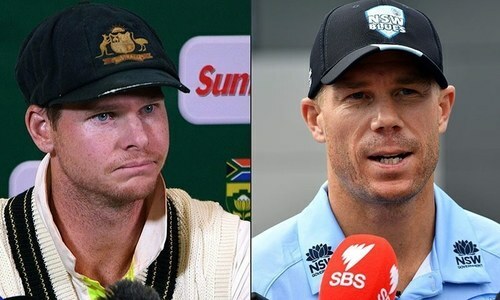 “I felt pretty good. It was a sigh of relief because you never know what to expect when you come back from injury and I got my rhythm back and I came out with the win in a good time,” said Coleman, who won the world indoor 60m title in Birmingham earlier this year. In the women’s 200m it was Shaunae Miller-Uibo, Olympic champion over 400m and Commonwealth champion over 200m, who played party pooper by overhauling Dina Asher-Smith in the 200m. Home favourite Asher-Smith, fresh from winning a hat-trick of golds at the European Championships, got her usual bullet start but could not hold off 400m specialist Miller-Uibo, who won in 22.15. Asher-Smith took second in 22.31 with Dafne Schippers third in 22.41. Sifan Hassan of the Netherlands continued her great season a week after winning the 5,000m at the Europeans as she delivered a strong late surge to sweep past Gudaf Tsegay to take the 1,500m win in 4.00:60. “I have to talk to my coach to see what’s next in my programme because I could run the 1500m at the finals or maybe the 5000m,” Hassan said. It was the same story in the women’s 400m hurdles where new European champion Lea Sprunger of Switzerland claimed a rare win over Janieve Russell in 54.86 to confirm her place in the Zurich leg of the finals in her home country. There was a great finish in the men’s 400m after triple jumper Christian Taylor set the pace. He eventually faded to fourth as fellow American Fred Kerley pipped Briton Matt Hudson-Smith in 45.54 seconds, a time not helped by a fierce headwind on the back straight. Britain’s former Olympic, world, European and Commonwealth long jump champion Greg Rutherford bowed out from the sport in pretty forgettable fashion taking only three jumps and finishing last in the eight-man field before spending the rest of the afternoon signing autographs. Spain’s 2016 Olympic 110m hurdles silver medallist Orlando Ortega ran a season’s best 13.08 seconds — the second fastest time this year — beating both Commonwealth champion Ronald Levy and the newly-crowned European king Pascal Martinot-Lagarde of France. This year’s Diamond League concludes with back-to-back finals in Zurich on Aug 30 and Brussels on Aug 31.